Website's design is of greatest significance for a successful presence on the web for your business. Make your business more efficient, Improve your customer service. 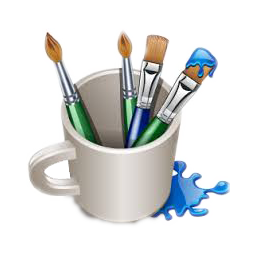 We are providing services for web site design, website re-design, website maintenance. We use the latest technology to create customized software applications that meet all your specific business needs. We offer turnkey website design and development. 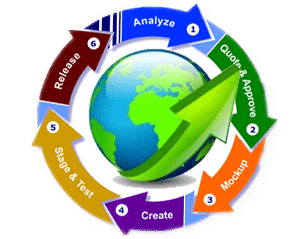 Website Solutions, Web Hosting, Web Programming, Internet Marketing, Web Application Development using Asp.Net , e-commerce design and development. 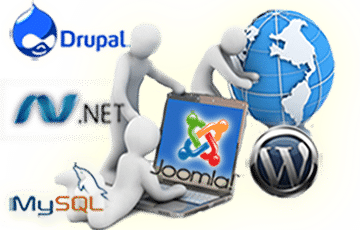 We are using Open Source Technologies (PHP, Python) and Microsoft Technologies ( C#, VB.Net, ASP.Net). 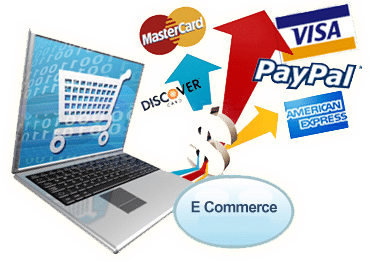 We Provide E-Commerce Website Solutions. Simply add your Products and Start Selling On line. You can add Unlimited Categories, Products, SEO Optimized. 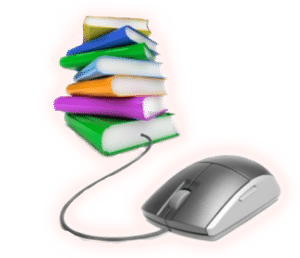 We Provide e-Learning as fast on line Solutions. Learn from any where any time. On Joining, A record book named Service Book in prescribed Format to be maintained to record every step in employee official life. It must contain Family Details and Nominations for Retirement/Death Gratuity and GPF/CPF. Employee has to submit Form 5 duly completed in all respects to the Head of the Office within a fix time. Employee must check their Service Book so as to verify correctness of entries made therein. After twenty five year of service, Issue of Service Verification Certificate of your Qualifying Service by Head of Office. Five year before retirement Verification of your Qualifying Service done by Head of Office. Two years before retirement, Head of Office should write to Directorate of Estate for issue of No Demand Certificate in respect of period of preceding eight months before the date of your retirement, in case you occupy Govt. Accommodation. TEN MONTHS BEFORE RETIREMENT Head of Office will issue you a certificate regarding length of Qualifying Service proposed to be admitted for purpose of pension and gratuity and as to emoluments and average emoluments for purpose of reckoning of retirement gratuity and pension for your acceptance. Head of Office will issue you Form 5 for completion. SIX MONTHS BEFORE RETIREMENT Head of Office shall ensure completion of Part-I of Form 7 and he shall forward the pension papers to the DDO. THREE MONTHS BEFORE RETIREMENT Employee may apply for commutation of pension in Form I-A to the Head of Office for onward transmission to the PAO. Employee may please ensure that your DDO has stopped making GPF recoveries in your case. ONE MONTH BEFORE RETIREMENT After checking of your Pension case received from your Head of Office, Pay & Accounts Officer shall issue PPO & authority for Gratuity. A superannuation pension shall be granted to a Government servant who is retired on his attaining the age of 60 years. A retiring pension shall be granted to a Government servant who retires, or is retired before attaining the age of Superannuation or to a Government servant who, on being declared surplus opts, for voluntary retirement. Any Government servant can apply for voluntary retirement, three months in advance, only after the completion of twenty years of his qualifying service, provided there is no vigilance or Departmental Enquiry pending /initiated against him/her. Invalid Pension may be granted if a Government servant applies for retirement from the service on account of any bodily or mental infirmity which permanently incapacitates him/her for the service. The request for invalid pension has to be supported by medical report from the competent medical board. If a Government servant is selected for discharge owing to the abolition of a permanent post, he shall, unless he is appointed to another post the conditions of which are deemed by the authority competent to discharge him/her to be at least equal to those of his own, have the option � (a) of taking compensation pension to which he may be entitled for the service he had rendered, or (b) of accepting another appointment on such pay as may be offered and continuing to count his previous service for pension. A Government servant compulsorily retired from service as a penalty may be granted, by the authority competent to impose such penalty, pension or gratuity, or both at a rate not less than two-thirds and not more than full compensation pension or gratuity, or both admissible to him on the date of his compulsory retirement. The pension granted or allowed shall not be less than Rs. 3500/- p.m.
(i) A Government servant who is dismissed or removed from service shall forfeit his pension and gratuity: Provided that the authority competent to dismiss or remove him from service may, if the case is deserving of special consideration, sanction a compassionate allowance not exceeding two-thirds of pension or gratuity or both which would have been admissible to him if he had retired on compensation pension. (ii) A compassionate allowance sanctioned under the proviso to sub-rule (i) shall not be less than the amount of Rupees one thousand nine hundred and thirteen per mensem. Extraordinary Pension in the form of Disability pension/extraordinary family pension may be paid to the Government servant/his family if disablement/death (or the aggravation of disablement/death)of the Government servant, during his service, are attributed to the Government service. For the award of extraordinary pension, there should thus be a casual connection between disablement and Government service; and death and Government service, for attributability or aggravation to be conceded. The quantum of the pension, however,depends upon the category of the disablement/death. Government servants appointed on or after 1.1.2004 are not covered by the CCS(Extraordinary Pension) Rules. and at the time of his death was in receipt of pension. Family pension is payable to the children up to 25 years of their age, or marriage or till they start earning a monthly income exceeding Rs.3,500/- + DA admissible from time to time p.m. whichever is earlier. Widow daughter / divorced daughter/ unmarried daughter of deceased Government servant is also entitled for the family pension till her remarriage or up to life time or starts earning a monthly income exceeding Rs.3,500/- + DA admissible from time to time p.m. whichever is earlier. Family pension is also payable to the dependent parents of deceased Government servants w.e.f. 01/01/98, where there is no claimant i.e. spouse or child for family pension, alive. If the son or daughter, of a Government servant is suffering from any disorder or disability of mind or is physically crippled or disabled so as to render him or her unable to earn a living even after attaining the age of 25 years, the family pension can continue to be paid for life time subject to conditions. 1	Whether a retiring Government servant is entitled for leave encashment after retirement under the NPS? 2	Why is it mandatory to use 40% of pension wealth to purchase the annuity at the time of the exit (i.e. after the age of 60 years from NPS? 3	Whether any minimum age or minimum service is required to quit from Tier-I? 4	Whether Dearness Pay is counted as basic pay for recovery of 10% for Tier-I? 5	Whether contribution towards Tier-I from arrears of DA is to be deducted? 6	Who will calculate the interest: PAO or CPAO? 7	What happens if an employee gets transferred during the month? Which office will make deduction of Contribution? 8	Whether Non-Practicing Allowance (NPA) payable to medical officers will count towards �Pay� for the purpose of working out contributions to NPS? 9	Whether a government servant who was already in service prior to 1.1.2004, if appointed in a different post under the Government of India, will be governed by the CCS (Pension) Rules or NPS? 1. Whether a retiring Government servant is entitled for leave encashment after retirement under the NPS? 2. Why is it mandatory to use 40% of pension wealth to purchase the annuity at the time of the exit (i.e. after the age of 60 years) from NPS? 3. Whether any minimum age or minimum service is required to quit from Tier-I? 4. Whether Dearness Pay is counted as basic pay for recovery of 10% for Tier-I? 5. Whether contribution towards Tier-I from arrears of DA is to be deducted? 6.	Who will calculate the interest PAO or CPAO? 7. What happens if an employee gets transferred during the month? Which office will make deduction of Contribution? 8. Whether NPA payable to medical officers will count towards �Pay� for the purpose of working out contributions to NPS? 9. Whether a government servant who was already in service prior to 1.1.2004, if appointed in a different post under the Government of India, will be governed by the CCS (Pension) Rules or NPS?